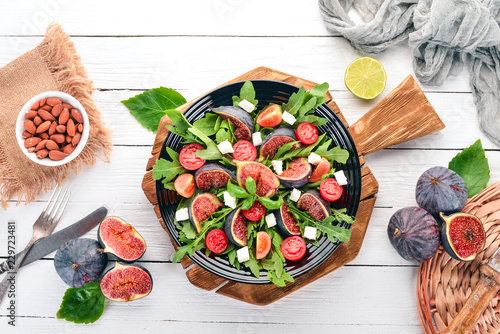 > Fototapeta>Tematy>Owoce>Fresh salad with figs, arugula leaves, cherry tomatoes and feta cheese. Free space for text. Top view.